My friend Roger McNamee put it best: “It reads like the plot of a sci-fi novel: a technology celebrated for bringing people together is exploited by a hostile power to drive people apart, undermine democracy, and create misery.” This was in an article he wrote, “How to Fix Facebook—Before It Fixes Us,” published three months ago, in early January, in the Washington Monthly. McNamee is one of the deans of Silicon Valley investing and has a great track record (Google, Facebook, Palm, Sonos). He’s looked at a lot of companies over the years and is a voice to be listened to. He was an early investor in Applied Materials, in the 1980s. I found him to be a very good resource for my external “porpoising,” seeking out potential bad news. He was smart, direct, sometimes critical, but always insightful. In the article he describes his long-standing relationship with Mark Zuckerberg—he served as an advisor to Zuckerberg and Facebook from 2006 to 2009. He was responsible for recommending and recruiting Sheryl Sandberg and admires them both “enormously.” He still owns shares in the company. In October 2016, a year-and-a-half ago, he contacted Zuckerberg and Sandberg to alert them to his concerns about privacy and the manipulation of Facebook data for political purposes. They assured him that he was “misinterpreting the news” and that they were “doing great things that you can’t see.” He then, a year ago, started to discuss the issues publicly. One of the most troubling things he talks about is how the algorithms that social media uses to maximize attention give an advantage to negative messages. Then, by showing people “what they want” and encouraging them to join Groups of like-minded people, Facebook enables filter bubbles which create the illusion that everyone agrees with them. But McNamee was hardly the only one sounding the Facebook alarm. There was plenty of warning. Concerns about Facebook have been mounting literally for years. The Guardian exposed the Cambridge Analytica story more than two years ago. There were stories published about Facebook privacy concerns three years ago, and even further back. I find it mystifying that Facebook didn’t anticipate the current crisis. They seem to have had no preparation for the blowback that’s occurred. Why did they act like deer in the headlights? Why was there no basic response plan? That should just be part of good management. There’s a question of who knew what and who approved what. I can guarantee someone knew. And where was Facebook’s board of directors while this was going on? Couldn’t they have stepped in? The problem is compounding. By not being on top of it at the beginning these things get out of hand. Particularly with the flow of information today, it becomes a major crisis very quickly. Once it gets started it’s hard to stop. 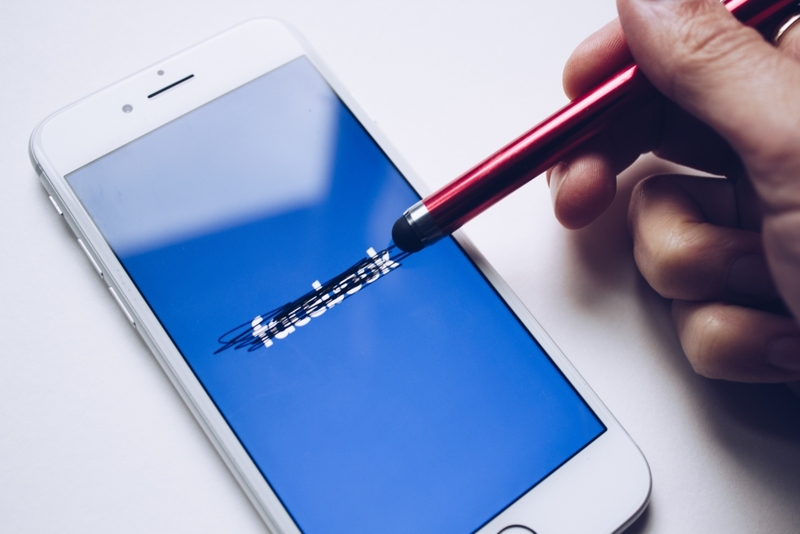 Facebook’s issues represent a classic management challenge that faces fast-growth businesses Here was a company with great ideas and brilliant people, but little practical management experience. Companies that are growing fast often fail to develop a business culture that really respects their customers, to develop the customer trust they need. It’s clear now that Facebook appreciated mainly the people who were paying for the ads and not the people who were providing the data. They didn’t realize that they have a responsibility to protect people’s information. They seem to have believed that anything goes as long as they connected people. That clearly has limits. In 1982 the Silicon Valley Toxics Coalition was formed after groundwater contamination was discovered at IBM and Fairchild Electronics plants in Silicon Valley. When we first heard of the problems I ordered a check of our own facilities. As a result of a leak in an underground storage tanks we discovered contaminants in the groundwater beneath our Building 1 in Santa Clara. We were just one of dozens of companies facing this issue but with a name starting with “A” we were always near the top of the list of the companies identified. Working in cooperation with the Environmental Protection Agency (EPA) we were soon at work fixing the leak and decontaminating the groundwater. By tackling the problem proactively and addressing the issue quickly we were able to avoid a crisis. At Applied we were always on the lookout for problems before they started. We would periodically discuss what potential threats were out there. When I was talking to different people around the world I’d get a sense of what might become a difficult issue. Depending on the subject, and in which functional area, senior staff would have a plan in place. I’d review it and we’d just keep it available, revising if necessary. This was part of our annual planning. The board of directors provided valuable input. They would periodically discuss potential threats: what had roughly a 20% chance of being bad news in the following year. We’d do that at least once a year, more often if there was a specific change going on. The crisis at Facebook brings to mind three of my Morganisms. Develop “court sense” to see everything that’s happening around you, and to rapidly adjust to changes. Court sense often refers to the practice of being aware of the driving forces that surround your company and your industry. Facebook could see mounting concerns about privacy and about Russian meddling in American elections but failed to react in time. Now they will be forced to adjust by outside parties, outside of their control, possibly including the U.S. and European governments. Court sense is useful both outside and inside the company as bad news is often found within. Facebook management may have seen the mounting signs of trouble but they then failed to do anything to effectively address them. It seems clear that senior management at Facebook was not delegating responsibility as the problems grew larger. When you begin to hear of potential problems it’s important to assign someone to monitor the situation. We know now that there were managers sounding the alarm. But apparently, they were not empowered to address the problems they had identified. Facebook has established that it cannot be trusted. That perception is hard to turn around. This is why trust and respect are such a critical aspect of business. Regardless of the industry or sector, all modern organizations must learn to operate within and to overcome paradoxes. Facebook’s paradox is that its business model is based on selling data about its customers at the same time that it must respect the privacy of that data. Poor leaders tend to be dismissive of difficult and/or opposing forces. Good leaders convey to all stakeholders that they understand the paradoxes. By managing the consequences of decisions carefully and striking a wise balance, the organization can succeed. Facebook is an important and potentially great company. I wish them every success in the future. Very insightful and timely post. I would suggest you are a little too harsh when you say :”Facebook HAS ESTABLISHED that it can not be trusted.” Keep in mind that no matter how much we want to apply attributes to companies, in the end – as you very well point out – it is all about the people. They make the company, from the top down (especially further down, deeply influenced by the culture set at the top.) And it is a continuous work in progress that never ends. For me your most impacting comments is that they are experiencing a classical crisis challenge that takes years to be prepared for, and this management is still very young. There is much to commend young executives like Mark. Full of energy, purpose, and mission. But some things do need seasoning. When everything is going North in such a short time it is very hard for young executives to have the fullness of wisdom. You learned your Morganism over a long period of time with incredible mentors. Today’s high tech world is so different from our world of chemical vapor deposition equipment and surface chemistry. The “new” world works at a pace that taxes our human capability, and it shows. Your industry took decades to mature, as did mine. It took us almost 30 years to feel “successful”. This is why I love the three Morganisms in your post. Develop court sense; always listen and seek out sign of trouble; create a culture of accountability. I would ask you to add to this your Morganism about TRUST. In the end, trust is what this is about, and it is trust in an individual, Mark. A heavy burden to bear, but it is the nature of the beast. I have listen to parts of today’s congressional testimony. I would say Mark did very well. I could not have done it even though I ran my company for three decades. What may carry the day is the incredible gravitas that only a founding CEO can have. This separates a hired CEO from a founder CEO. I believe Mark will learn from this and be able to move on. Yet it will task his inner being as much as anything that ever did. He now has to re-develop the trust and then prove it with actions. Thanks for taking time to send your thoughts. You are right: He is very young and became successful at lightning speed. That does not give time for much seasoning. Your point about TRUST is so important. I hope he does not experience how fast trust disappears from customers, investors, the press, and employees when the stock goes down. My concern is that the CEO, the Board, and the management had warnings and did not prepare the company for a possible blowback. With the young managers that are in place this may not be the last example. That is why your efforts are so important to the valley and beyond.